Medical cannabis, conceptual image. 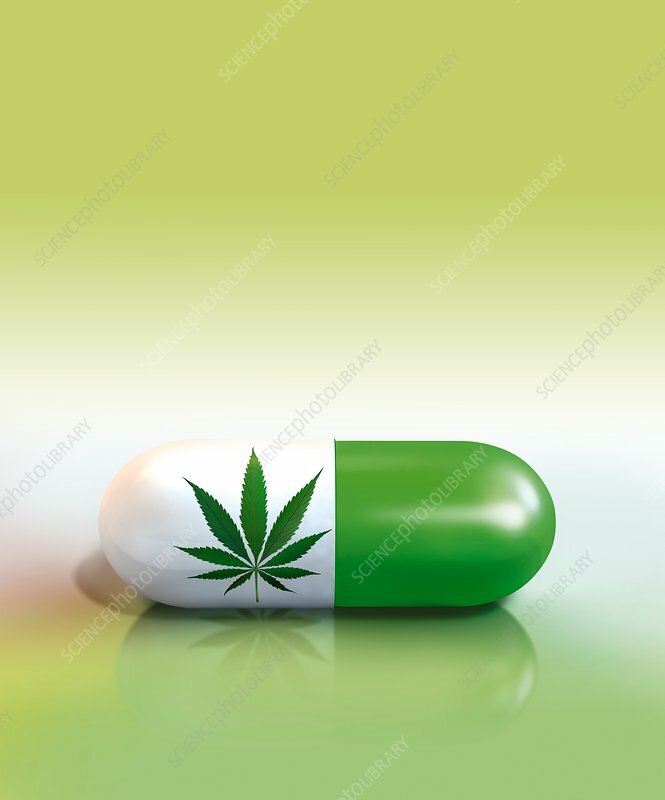 Leaf of the cannabis plant (Cannabis sativa) on a pill. Cannabis (also known as marijuana) is an illicit drug containing the psychoactive chemical tetrahydrocannabinol (THC). Cannabis is useful medically due to its ability to relieve pain, increase appetite and control muscle spasms. Cannabis has the potential to treat the side-effects of chemotherapy and the symptoms of conditions including AIDS, multiple sclerosis and chronic pain from nerve damage.